"Self-discipline is the key to personal greatness. It is the magic quality that opens all doors for you, and makes everything else possible. With self-discipline, the average person can rise as far and as fast as his talents and intelligence can take him. But without self-discipline, a person with every blessing of background, education and opportunity will seldom rise above mediocrity." Yesterday in our day camp for younger kids, I gave a mini-clinic on dribbling. I went over all the fundamentals of dribbling and had one of our alumni Quianna Chaney demonstrating some drills. I told the campers that as coaches, when we are drilling our players, one of our goals to stretch them to the point of making a mistake. We can do this by asking for me speed, adding difficulty to the execution, or in some of our drills, adding a second basketball. I had Q going through some 2 ball dribbling exercises and pushed her to the point of making a mistake and then looked at the campers and told them that was a good thing. I could that at first they didn't understand. There are college players that don't understand that failure is a part of success. That pushing themselves to the point of making a mistake is the only way they can improve their game. My dad was a former university football coach, so we had a full Olympic standard weight set in our garage. On the wall he had painted, “No Pain, No Gain.” To build bigger muscles, you have to inflict pain on them, literally tearing down the fibers of the muscles and bringing them to the point of failure. That’s actually the goal. Then in recovery, the fibers will rebuild bigger and stronger than they were before. Building a muscle is a lot like the process of building success in life. I owe much of the success I have been able to achieve to my dad and this philosophy. My dad taught me it was not only OK to fail, but it was proof you were improving. I never saw setbacks, obstacles, rejection or even pain as things to avoid; rather, they were markers on the journey toward greatness and should be appreciated, even celebrated. I wish or I will; which type person are you; do u wish for things 2 happen or are u determined 2 make them happen? We want "I will" players. Paul Pierce says 2 players: coaches can teach you but you have 2 take it to the gym; even the pros understand this & work after being taught. The best shooters in the game have to be the best shot fake players as well; the shot fake has to become a valued weapon for the shooter. In order to reach our dreams we have to first deal in reality; reality is the foundation of fulfilling our dreams. Footwork and balance should come before speed; get comfortable with your feet; basketball is a game of footwork; feet give you the advantage. The faster u go; the faster u play the game; the more likely u are 2 miss too many things; play at a speed that will allow u 2 see the game. Working with Vince Carter he believes the best shooters always have two hands ready to catch ball; believes you are quicker into your shot. Great teaching term; on difficult square up shots; player needs 2 stick his landing; no off balance/kick legs, etc; stick landing w/ balance. With Vince Carter this week; he had a great statement: "the faster you go the more you miss"; great quote for players to think about! The higher level you go as a player the more you have to limit wasted motion on your moves; defenders are stronger, faster, better. We have to eliminate as much "social shooting" as we can with today's players; if you are working on your shot then really work on your shot! Get around people who will stretch you and not those who simply agree with you or do not have the capacity to stretch you. The NBA has a marketing item that says "where amazing happens"; but I can tell you amazing doesn't JUST HAPPEN! Lots of preparation needed! Remember to read one article about coaching today; successful people read and learn as much and as often as they can. Offensive basketball is about countering and sometimes countering quickly; can your team "read" the defense well? Do you teach them how? 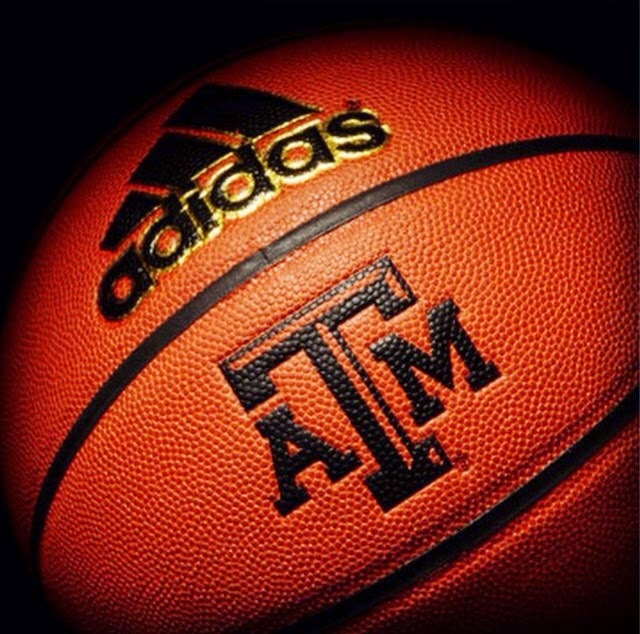 As Coach Don Meyer often says, "We should all study Wooden." So this week I have pour over a lot of my Coach Wooden material and will share some of his thoughts and theories. Since the most important responsibility of a coach in regard to the actual playing of the game is to teach his players properly and effectively to execute the various fundamentals of the game, he is first of all a teacher. 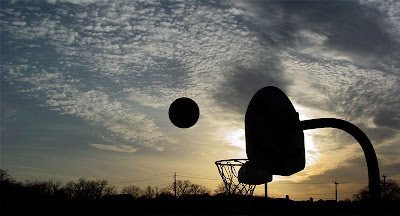 As a matter of fact, it is unlikely that a teacher of any subject finds it as necessary to follow the laws of learning as closely and superficially as it is for the teacher of the fundamentals of basketball. A fundamental must be explained and demonstrated, the correct demonstration must be imitated by the players, their demonstration must be constructively criticized and corrected, and then the players must repeat and repeat the execution of the proper model until the correct habit has been formed to the point where they will react instinctively in the correct manner. The coach must be continuously exploring for ways to improve himself in order that he may improve others. A wise motto might be, "Others too, have brains." I often wonder: Do people really understand what coaches and experienced players mean when they emphasize "toughness" in basketball? Or is it just some buzzword that is thrown around haphazardly without clear definition or understanding? I thought it was the latter, and wrote a short blog item about it a couple of weeks ago. The response I received was overwhelming. Dozens of college basketball coaches called to tell me that they had put the article up in the locker room, put it in each player's locker, or had gone over it in detail with their teams. Memphis coach John Calipari called to say that he had his players post the definition of toughness over their beds because he believed that true "toughness" was the one thing that his team needed to develop to reach its potential. I received messages from high school coaches who wanted to relay the definition of toughness to their players and wanted to talk about it further. I found out pretty quickly that I wasn't, but I toughened up over time, and I got a pretty good understanding of toughness through playing in the ACC, for USA Basketball, in NBA training camps, and as a professional basketball player in Europe. I left my playing career a heck of a lot tougher than I started it, and my only regret is that I didn't truly "get it" much earlier in my playing career. 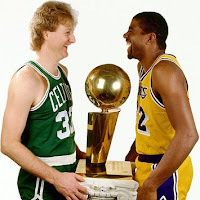 When I faced a tough opponent, I wasn't worried that I would get hit -- I was concerned that I would get sealed on ball reversal by a tough post man, or that I would get boxed out on every play, or that my assignment would sprint the floor on every possession and get something easy on me. The toughest guys I had to guard were the ones who made it tough on me. Set a good screen: The toughest players to guard are the players who set good screens. When you set a good screen, you are improving the chances for a teammate to get open, and you are greatly improving your chances of getting open. A good screen can force the defense to make a mistake. A lazy or bad screen is a waste of everyone's time and energy. To be a tough player, you need to be a "screener/scorer," a player who screens hard and immediately looks for an opportunity on offense. On the 1984 U.S. Olympic Team, Bob Knight made Michael Jordan set a screen before he could get a shot. If it is good enough for Jordan, arguably the toughest player ever, it is good enough for you. Set up your cut: The toughest players make hard cuts, and set up their cuts. Basketball is about deception. Take your defender one way, and then plant the foot opposite of the direction you want to go and cut hard. A hard cut may get you a basket, but it may also get a teammate a basket. If you do not make a hard cut, you will not get anyone open. Setting up your cut, making the proper read of the defense, and making a hard cut require alertness, good conditioning and good concentration. Davidson's Stephen Curry is hardly a physical muscle-man, but he is a tough player because he is in constant motion, he changes speeds, he sets up his cuts, and he cuts hard. Curry is hard to guard, and he is a tough player. Jump to the ball: When on defense, the tough defenders move as the ball moves. The toughest players move on the flight of the ball, not when it gets to its destination. And the toughest players jump to the ball and take away the ball side of the cut. Tough players don't let cutters cut across their face -- they make the cutter change his path. Don't get screened: No coach can give a player the proper footwork to get through every screen. Tough players have a sense of urgency not to get screened and to get through screens so that the cutter cannot catch the ball where he wants to. A tough player makes the catch difficult. Get on the floor: In my first road game as a freshman, there was a loose ball that I thought I could pick up and take the other way for an easy one. While I was bending over at the waist, one of my opponents dived on the floor and got possession of the ball. My coach was livid. We lost possession of the ball because I wasn't tough enough to get on the floor for it. I tried like hell never to get out-toughed like that again. Post your man, not a spot: Most post players just blindly run to the low block and get into a shoving match for a spot on the floor. The toughest post players are posting their defensive man. A tough post player is always open, and working to get the ball to the proper angle to get a post feed. Tough post players seal on ball reversal and call for the ball, and they continue to post strong even if their teammates miss them. Run the floor: Tough players sprint the floor, which drags the defense and opens up things for others. Tough players run hard and get "easy" baskets, even though there is nothing easy about them. Easy baskets are hard to get. Tough players don't take tough shots -- they work hard to make them easy. Play so hard, your coach has to take you out: I was a really hard worker in high school and college. But I worked and trained exceptionally hard to make playing easier. I was wrong. I once read that Bob Knight had criticized a player of his by saying, "You just want to be comfortable out there!" Well, that was me, and when I read that, it clicked with me. I needed to work to increase my capacity for work, not to make it easier to play. I needed to work in order to be more productive in my time on the floor. Tough players play so hard that their coaches have to take them out to get rest so they can put them back in. The toughest players don't pace themselves. Take a charge: Tough players are in a stance, playing the ball, and alert in coming over from the weak side and taking a charge. Tough players understand the difference between being in the right spot and being in the right spot with the intention of stopping somebody. Some players will look puzzled and say, "But I was in the right spot." Tough players know that they have to get to the right spot with the sense of urgency to stop someone. Get in a stance: Tough players don't play straight up and down and put themselves in the position of having to get ready to get ready. Tough players are down in a stance on both ends of the floor, with feet staggered and ready to move. Tough players are the aggressor, and the aggressor is in a stance. Finish plays: Tough players don't just get fouled, they get fouled and complete the play. They don't give up on a play or assume that a teammate will do it. A tough player plays through to the end of the play and works to finish every play. Work on your pass: A tough player doesn't have his passes deflected. A tough player gets down, pivots, pass-fakes, and works to get the proper angle to pass away from the defense and deliver the ball. Throw yourself into your team's defense: A tough player fills his tank on the defensive end, not on offense. A tough player is not deterred by a missed shot. A tough player values his performance first by how well he defended. Catch and face: Teams that press and trap are banking on the receiver's falling apart and making a mistake. When pressed, tough players set up their cuts, cut hard to an open area and present themselves as a receiver to the passer. Tough players catch, face the defense, and make the right read and play, and they do it with poise. Tough players do not just catch and dribble; they catch and face. Don't get split: If you trap, a tough player gets shoulder-to-shoulder with his teammate and does not allow the handler to split the trap and gain an advantage on the back side of the trap. Be alert: Tough players are not "cool." Tough players are alert and active, and tough players communicate with teammates so that they are alert, too. Tough players echo commands until everyone is on the same page. They understand the best teams play five as one. Tough players are alert in transition and get back to protect the basket and the 3-point line. Tough players don't just run back to find their man, they run back to stop the ball and protect the basket. It's not your shot; it's our shot: Tough players don't take bad shots, and they certainly don't worry about getting "my" shots. Tough players work for good shots and understand that it is not "my" shot, it is "our" shot. Tough players celebrate when "we" score. Take responsibility for your actions: Tough players make no excuses. They take responsibility for their actions. Take James Johnson for example. With 17 seconds to go in Wake's game against Duke on Wednesday,Jon Scheyer missed a 3-pointer that bounced right to Johnson. But instead of aggressively pursuing the ball with a sense of urgency, Johnson stood there and waited for the ball to come to him. It never did. Scheyer grabbed it, called a timeout and the Blue Devils hit a game-tying shot on a possession they never should've had. Going after the loose ball is toughness -- and Johnson didn't show it on that play. But what happened next? He re-focused, slipped a screen for the winning basket, and after the game -- when he could've been basking only in the glow of victory -- manned up to the mistake that could've cost his team the win. "That was my responsibility -- I should have had that," Johnson said of the goof. No excuses. Shouldering the responsibility. That's toughness. Move on to the next play: Tough players don't waste time celebrating a good play or lamenting a bad one. They understand that basketball is too fast a game to waste time and opportunities with celebratory gestures or angry reactions. Tough players move on to the next play. They know that the most important play in any game is the next one. Be hard to play against, and easy to play with: Tough players make their teammates' jobs easier, and their opponents' jobs tougher. Make every game important: Tough players don't categorize opponents and games. They know that if they are playing, it is important. Tough players understand that if they want to play in championship games, they must treat every game as a championship game. The following is from an article in FIBA Assist Magazine written by Coach Tex Winter. 1. Penetration of the defense. You must penetrate the defense, and the best way to do this is the fast break , because basketball is a full court game from baseline to baseline. 2. Spacing. I am literally a fanatic of spacing. The floor must be spaced so it is difficult for the defense to help as well as to trap. The players must be distant from each other a certain number of feet and distance varies. In the high school level, I would recommend from 12 to 15 feet, at the college level ,15-18 feet and at the pro level, 15 to 20 feet. With the proper spacing, if the defense tries to trap, there will always be a player open. 3. Ball and Player Movement. The players must move the ball and themselves on the court, but with a purpose, because there is only one ball and the players will play almost 80% of the time without the possession of the ball. 4. Options for the Ball Handler. He must be able to pass the ball to all other four teammates, so the players be constantly moving. 5. Offensive Rebound and Defensive Balance. On all the possible shots, the offense must provide strong offensive rebounding, as well as create a defensive floor balance to avoid the opponent's fast break. 6. To fill any spot. The offense must offer to any player the chance to fill any spot on the court, independently by his role. All the positions should be interchangeable. 7. Utilize individual talents. Take advantage of your best players, but always with the respect of all other teammates on the court. Michael Jordan taught me this. Each summer we try to coin a phrase to center our team's motivation around. This summer the phase is simply, "WIN TODAY." We told our team that to have a great summer that we needed them to rise out of bed each morning and ask, "What do I need to do to win today." It could mean extra effort in the weight room...it could mean some extra conditioning or agility with Coach Moore...it could mean getting the gym to work on your shot or ball handling...it could mean eating correctly...it could mean taking some time to help one of our freshman who is away at college for the first time...it could mean not going out tonight because you have an important exam in summer school tomorrow. We have did several things to remind our players about winning the day that are both physical and visual and I will share them with you at a later day. For now, I want to share some passages from John Maxwell's book, "Today Matters." It was the inspiration in us coming up with this summer motto and some of these passage are ones that we share with our team through out the next few months. A wonderful little paperback that gives insight into the importance of having the right attitude to succeed as well as providing inspiring quotes and stories to validate the author’s view. This is a great read for the coach, the staff, as well as the team. Coaches are always looking for a motivational quote or a special story to share with the squad and this book is filled with them. Thomas Alva Edison invented the incandescent light bulb, the movie camera and the batteries that start our cars. Toward the autumn years of his life, he worked in a modest building that resembles a barn. There, with his son, Edison would often remain late into the night, laboring to perfect his inventions. One evening, in an attempt to improve the retention of a battery’s charge, an unfortunate combination of chemicals caused his latest experiment to burst into flames. The fire quickly spread through the old wooden structure, and what began as a minor chemical combustion exploded into a towering inferno. Edison’s son quickly evacuated the building. Using his smock to shield him from the heat of the flames, he desperately called for his father, fearing Edison might still be in the barn trying to save his precious life’s work. Running frantically, the young man circled the barn, hoping his father had escaped through another exit. On his second time around the building, he turned a corner and, to his great relief, there stood his legendary father. Edison’s hands were buried deep in his soot-speckled smock, his white hair blackened with ash. He was watching intently as flames devoured the structure. George Allen is one of the NFL's coaching legends. We have spoke previously of him and his thoughts on motivation. 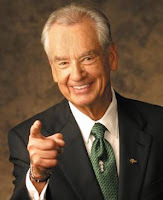 Today will talk about some of his concepts in regard to teaching that we took from his book, "Strategies for Winning." 1. Be a serious listener. If you expect your thoughts to be take seriously, you must listen carefully. 2. Believe in people enthusiastically. 3. Work hard. I like people who work hard. 4. Enjoy your work. A good boss must teach others how to win. Only those who have not won will accept losing. 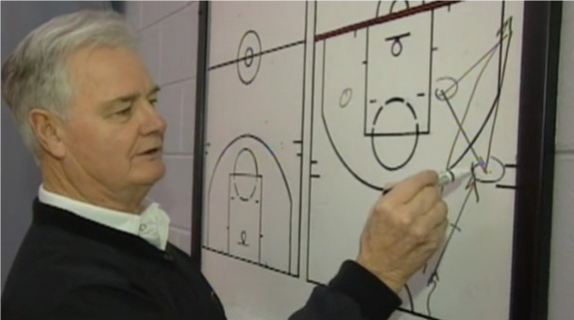 The book is chalked full of lists that he believed important to various areas of coaching. One that bears mentioning is his one on teaching. 9. Ask students to answer a few questions to keep everyone alert. 10. Announce at the conclusion of the class when the next session will be and what chapters will be covered. Jeff Janssen is one of the nation’s premiere peak performance coaches. He has had a tremendous influence on programs around the nation on all levels in all sports — including our program. I have about every book authored by Jeff. One of his best is The Team Captain’s Leadership Manual. It is a great book for coaches but an even better one for players — especially those you are trusting to lead your team. I’m going to give you just a small sample of a section in the book but this is a book a highly recommend any coach or player purchasing. It has great insight along with exercises to help develop players in the understanding of what it takes to be a great leader. The section is called 20 Tips for Developing Responsible and Respected Team Leaders. 1. Look for leaders when selection your team. Of course you will look for talent when you are recruiting and selecting athletes for your team — but also be on the lookout for leadership. Let your leaders know how important they are to you and your program’s success. 3. Explore you leaders’ definition of leadership. Ask you leaders to describe their philosophy of leadership and what it means to be an effective leader. Sit down with your leaders to discuss exactly what you expect from them. Talk frankly about the inherent challenges and problems your leaders are likely to face. 6. Provide captains with opportunities to lead. Look to provide your captain with various opportunities to lead the team. 7. Give captains input on decisions. Solicit your captains input on decisions that affect the team. Encourage your leaders to invest the time to build a working relationship with each of their teammates. 9. Confidently discuss the psyches of each team member. Once you have built a sufficient level of trust with your captains, confidentially discuss the mindsets of each of their teammates. 10. Discuss various approaches to conflict. Talk with your leaders about potential conflict situations which might arise as well as some potential ways to handle them. 11. Have frequent discussions, chats, check-ins. You and your leaders should communicate frequently. 12. Encourage your captains to share their insights with the team. Your captains will often share their insights and opinions with you individual meetings. 13. Support your captains — be there for them. Since being a captain is an extremely challenging job, especially for teenagers and young adults, you need to be there for them. 14. Give your captains leadership roles in school and in the community. Nominate your captains for positions where they will be seen as leaders by others. 15. Start early grooming future leaders. Start early to identify athletes who have the potential to develop into future leaders for your team. 16. Look to develop leaders in key positions. Certain positions in specific sports virtually demand effective leadership: point guard in basketball, setter in volleyball, quarterback in football, etc. 17. Look to give non-starting seniors a leadership role when possible. Almost every time has at least a couple of seniors/veterans who don’t get much player time. 18. Appreciate your leaders often. Because being a team leader can be such a demanding and difficult job, invest the time to let your leaders know how much you appreciate their help. 19. Be careful how you treat your captains in front of the team. Most of the time you will be more demanding of your captains. However, be careful when you praise them in front of the team. Be careful not to over do it. 20. Model effective leadership as a coach. Last but certainly not least, the best way to develop team leaders is to model effective leadership principles yourself. ESPN’s one-hour nomination show will be televised Fri., June 26 at 8p.m. ET on ESPN2. For the second time in several years, a limited amount of ESPYs tickets are available for public purchase through www.ticketmaster.com. The 2009 ESPYs will be taped Wednesday, July 15 from the Nokia Theatre at L.A. LIVE in Los Angeles and televised Sunday, July 19 at 9 p.m. ET. In addition to the Arthur Ashe Courage Award, which will be given to Nelson Mandela, two special ESPYs will be presented this year: the Jimmy V Award for Perseverance, honoring Don Meyer, Northern State University coach who refused to give up on life while battling cancer and surviving a major car crash; and Best Comeback, being given to Dara Torres who, after an eight-year absence and at 40 years old, competed in the 2008 Olympics, winning three silver medals. "You don't often hear ethics discussed in the same breath as success. But to me they are inseparable. A lot of people can win once. They get lucky, or follow their intuition, or strike on a good short-term formula. But very few people know how to repeat success on a consistent basis. They lose sight of priorities, grow content, and abandon their principles. Long-term repetitive success is a matter of building a principled system and sticking to it. Principles are anchors; without them you will drift." The following is a passout we received from our friend Steve Smiley, the head men's basketball coach at Sheridan College. 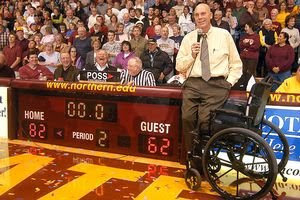 Steve is played for Coach Don Meyer and obviously shares Coach Meyer's feeling of helping coaches. I would suggest you email Steve at: ssmiley@sheridan.edu. Tell him I sent you and to ask to be put on his mailing list -- he sends out some good stuff! As he does before every game, Yao Ming arrives at the arena at 9:00 am, and hour and a half before the shoot-around. As always, Thibodeau is there to meet him. The coach begins by going over tape, showing Yao how he will be defended by a pair of 6’11” Pacers; center Jeff Foster and power forward Jermaine O’Neal. After 45 minutes, the two men head to the court, where Yao runs through shooting drills for another 45 minutes. Then, sweaty and breathing hard, Yao joins his teammates, some of who have just arrived and are still sleepy-eyed, for the shoot-around. Yao is also the first on the floor at the Toyota Center that evening, hitting the floor at 6:00 pm for an 8:30 game. He begins with spot shooting, circling through nine locations, seven on the perimeter, and the two “short” corners,” 15 feet to either side of the basket along the baseline. The goal is to hit eight of 10 from each spot; if Yao fails, Thibodeau gives him a second chance. Most of the time, he doesn’t need it. Yao makes 9 of 10 from the left elbow, then only seven of 10 from the wing. On misses he grimaces or shakes his head. Alston calls Yao’s approach “almost perfectionist” while Rockets forward Juwan Howard says it “extreme, in a good way.” To watch him shoot is to see the motion at its most refined. He keeps the ball high and releases it with his right hand in a short flicking action. He does not jump and barely even moves his legs. It is almost robotic. “Ok, post moves next,” commands Thibodeau. Yao sets up on the right block, practicing jump hooks, then turnarounds. It is part of his continuing education as a low-post player: developing counters, taking angles, rooting for position. “What people forget is that he was an elbow player when we got him, “says Dawson. “He had a lot of finesse things in his system, and we felt like power moves were what he needed.” When Yao gets position and faces up, he is virtually un-guardable, as is clear two hours later versus the Pacers. Nearly an hour after the end of the game, Yao arrives at his locker to meet reporters. Immediately after every game, while his teammates shower, he heads off to lift for 40 minutes. As Yao is speaking to the reporters, Thibodeau is going over game film in an adjacent room. By morning he will have a DVD ready. The next time the two men meet, Yao will study the DVD, look for tiny mistakes and determine what adjustments he should make. Then he will practice those adjustments over and over, until they become part of him, until he has evolved further. This, Yao Ming hopes, is how he will overcome history, his oversized limbs and the expectations of an entire country. This is how the experiment continues. A coach can only do his best, nothing more, but he does owe that not only to himself but to the people who employ him and to the youngsters under his supervision. If you truly do your best, and only you will really know, then you are successful and the actual score is immaterial whether is was favorable or unfavorable. However, when you fail to do your best you have failed, even thought the score might have been to your liking. This does not mean that you should not coach to win. You must teach your players to play to win and do everything in your power that is ethical and honest to win. I want to be able to feel -- and want my layers to sincerely feel -- that doing the best that you are capable of doing is victory in itself and less than that is defeat. I continually stress to my players that all I expect from them at practice and in the games is their best effort. They must be eager to become the very best that they are capable of becoming. I tell them that although I want them to be please over victory and personal accomplishment, I want them to get the most satisfaction from knowing that both they and the team did their best. I hope that their actions of conduct following a game will not indicate victory or defeat. Heads should always be high when you have done your best, regardless of the score, and there is no reason for being overly jubilant at victory or unduly depressed by defeat. 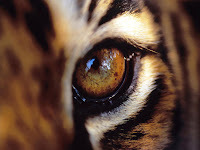 I greatly enjoyed watching the LSU baseball team compete this year. They did so at the highest of levels and maintained that effort all the way through to win the National Championship. One of the qualities that I most admired about this team is that they just played the game. That sounds like an over simplification but if you coach you know what I mean. The score had absolutely nothing to do with how we played. This is why so often we could take a 2 or 3 run lead and stretch it to 7 or 8 runs. It is the reason why we could be down 2 or 3 and still win by 5 runs. Now some teams can do this on occasion but it was a common feature of this championship team. They were not into the result -- they were all about the process. The score had nothing to do with a good at bat. The second quality that I admire about the LSU baseball program is the leadership -- starting with Coach Paul Mainieri. For those that say nice guys finish last, well you need to take a look at Coach Mainieri and his track record of success. In today's society there are a lot of different ways to win. Unfortunately you can cheat and win. Many of us, purist, don't want to admit it but it's out there. That's not to say that it sometimes doesn't catch up with the cheater but they do sometimes win. Sometimes you can win with players of poor character. They don't go to class...they get in trouble...they don't care about their school or community. Not so with LSU baseball. There are not just outstanding baseball players but outstanding people. Why? 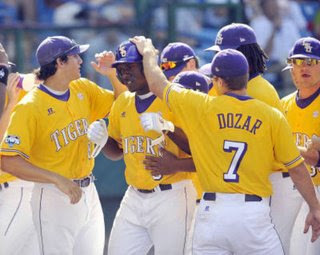 Because that is the philosophy of Coach Mainieri -- he recruits quality people and he leads them in a quality way. Thirdly, they are great examples of excellence. Last night we have open gym scheduled for our players. None showed! They were all together parked in front of the television cheering the Tigers at they play baseball. That tells you that our players respect the baseball team. One of the things that LSU does is create several venues where the athletes from all sports get to interact. It pays off because I think our team will be better observing the baseball team. That camaraderie is shown by Les Miles and Trent Johnson making the trip to Omaha to support the team. Finally, sometimes as basketball coaches we think we can only learn from basketball coaches -- nothing could be further from the truth. As an assistant basketball coach at West Virginia State College I was also an assistant sports information director and my sport was baseball. Each spring I joined the baseball team, coached by legendary Cal Bailey to keep his book and his stats. We shared dinners, bus rides and conversations in the dugout. I learned a tremendous amount about teaching, motivation and player development from Cal who to this day is a friend and a mentor. Skip Bertman, the baseball coach for many years was another great example for all our coaches in the way he ran his program. After he became the Athletic Director at LSU, he went out of his way to coach the coaches -- to impart even more of his wisdom on us. For some reason Skip took a liking to me and I was the beneficiary of many phone calls and trips to his office to learn of ways to be better at my craft. Again, to this day I still lean on Skip for advice. So find coaches that are successful -- no matter the sport or the level -- and learn from them. I've no doubt had a little more of a slant towards LSU in this blog entry so forgive me. 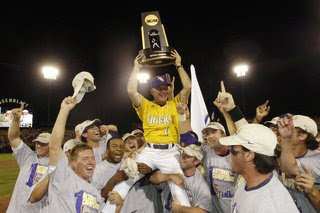 I've tried to keep this blog about coaching, teaching and motivating but today I'm truly proud to be a Tiger because of our baseball team -- not jut because they won the National Championship but more importantly because of how they won it and the fact that they share it with the rest of us. In 2008, Pat Williams, the GM of the Orlando Magic and a tremendous motivational speaker put out a book, "The Ultimate Coaches' Clinic." It is a fascinating book because of the style Pat utilized. He surveyed over 1000 coaches and administrators for insights to what is important to successfully do their job. From time to time I will share a few but it is a great book to own and I highly recommend it. 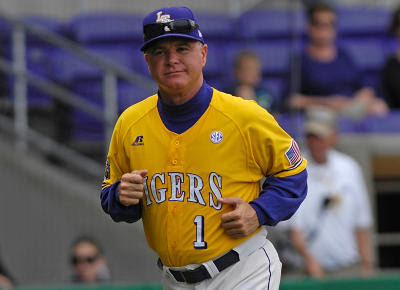 At LSU, our baseball coach is Paul Mainieri. He not only an excellent baseball coach but a great person and not only leads our baseball program but has helped us all be better coaches by his example. Who better to study today coming off his first National Championship last night!!! 1. Be yourself and not somebody else. 2. Don’t believe players are self-motivated. You have to motivate and inspire them every day. 3. Motivate them on an individual basis, not a group basis. 4. Always remember, it means a lot more to you as a coach than it does to the players. Know that, accept it, and live with it. The difference between playing to win and playing not to lose is often the difference between success and mediocrity. Team members believe in themselves, their teammates, and their dream. And they don’t allow negative thinking to derail them. The highest reward for their efforts isn’t what they get from it, but who they become because of it. Team members know intuitively that if they’re through improving, they’re through. “The guys who saved the NBA, Bird and Magic, they did it with the pass, they didn't do it with the shot. Everybody thinks the game is about the shot now. 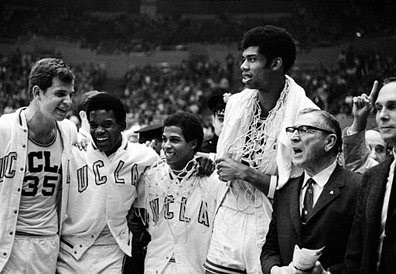 The guys who kept the league alive and really put college basketball in there, they did it with the pass." 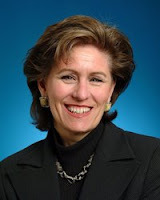 To follow are some notes on Gail Goestenkors' team building activities. These notes were shared with my by Latasha Dorsey, my former point guard and current Western Kentucky assistant who saw Coach Goestenkors at the Nike Clinic in Las Vegas. I had the opportunity to observe Coach Goestenkors for three days while she prepared her Duke team to go on an overseas summer tour. I came away seeing an excellent teacher with great attention to detail. Every player gets a journal when they get on campus. One of the players help with scouting report. They watch film together, discuss player tendancies and stopping offensive flow. By doing this they are learning the game and developing a better coach/player relationship. It also eliminates them only watching themselves when we watch film of our team. Who do they want to be. For example do they want to run more and press etc. Make them write it in their journal and hold them accountable later in practice when they are not running hard etc. "X & O's aren't worth a damn without a team. If your team isn't with you it doesn't matter what you draw up. The team must respect what the coach is asking them to do." Here is an incredible article by Darren Hardy of Success.com. It talks about the age of technology and the instant access we have to so much information. More importantly it speaks to how we spend too much time learning and not enough time executing. I read the article and realized that I am guilty of this as well. I think as coaches sometimes we spend too much time looking for too many things to add to our program (as well as our personal lives) instead of taking some good, time-tested principles and learning to master them. Here is the beginning text of the article but I've added the link at the bottom so that you can read more, including Hardy's thoughts on implementing the knowledge we possess. As the chief champion of self-education and continual learning, this probably sounds like an odd statement, but here is the conundrum I think we find ourselves in. For any SUCCESS reader, and certainly anyone reading this blog, learning is not what we lack; in fact, it might be what’s bottlenecking us. Beyond CDs, DVDs and books, we also live in an age of e-zines, blogs, RSS feeds, personalized readers, Digg, Facebook, Twitter, et al. We have a never-ending flow of ideas, tips, quotes, suggestions and advice being constantly pumped at us. Swimming in a sea of infinite information, we paddle like crazy just to keep our nose above water. It can be exhausting, right? We read an article and then move on to the next. We listen to an audio and then seek the next. We finish a book and then start the next…. Therein lies the problem: We are reading a lot, seemingly learning a lot, but never really stopping long enough to digest, contemplate, act, review and improve on anything we have just learned. As you know, knowledge is not power; it is the potential of power. What you do with knowledge is where the power lies. Never before have we had a society filled with so many knowledgeable failures. We do not lack for knowledge; it is everywhere and most of it is entirely free. What we lack is real growth, improvement and development. --You expect to use all the ideas and get overwhelmed, thus becoming mentally paralyzed and unable to act on anything. --You mistake reading and keeping up with the action as improvement. Learning is not the problem; lack of real study and implementation is. Don’t just read a book and put it down. Read it, summarize the key ideas and then write out how you are going to implement those ideas into your life. Now act, review and improve. Act again, review and improve, etc., until those ideas have affected results in your life. Please click on the link below to read Hardy's growth plan to move strongly forward with the knowledge we gain -- it's outstanding!!! From my Leadership Wired newsletter, John Maxwell talks about some of the advantages of adversity -- that's right, what we have to gain when things don't go well. 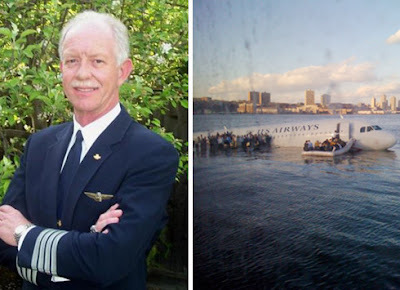 Had Chesly B. Sullenberger known that US Airways Flight 1549 would fly through a flock of geese and lose both engines, then he likely would have stayed out of the cockpit that day. After all, who in their right mind wants to pilot an engineless aircraft? Thankfully for the 155 passengers on board, however, the veteran airman was at the controls to safely crash-land the plane in the Hudson River. Although he never would have volunteered for the adversity he faced in the skies above New York City, Sullenberger's influence soared as a result of his leadership in the midst of harrowing circumstances. Before January 15th, Sullenberger was an accomplished, but anonymous pilot. Afterward, he was recognized as an American hero, drew a captive audience whenever he spoke, and was highly sought after by federal aviation officials for his safety recommendations. Going through adversity, though not pleasant at the moment, opens the door to new levels of influence. By staying poised and keeping a positive attitude under pressure, leaders can pass through adversity having grown in stature more than they ever could have in comfortable times. In this article, I'd like to focus on the potential benefits that can be gained by triumphing over adverse conditions. A study in Time magazine in the 1980's described the incredible resilience of a group of people who had lost their jobs on three occasions due to plant closings. Researchers expected them to be discouraged, but they were surprisingly optimistic. Their adversity had turned into advantage. Because they had already coped with job loss and found employment at least twice, they were better equipped to handle adversity than people who had always worked for the same company and found themselves unemployed for the first time. During more than four decades as a pilot, both with the Air Force commercial airlines, Chesly B. Sullenberger had to weather his share of storms and mechanical glitches. When questioned by Katie Couric about his heroic landing of US Airways Flight 1549, Sullenberger credited his past experiences for giving him the maturity to steer the plane. "One way of looking at this might be that, for 42 years, I've been making small, regular deposits in this bank of experience: education and training. And on January 15 the balance was sufficient so that I could make a very large withdrawal." As an African proverb says, "Smooth seas do not make skillful sailors." The bumps in the road may seem only to be nuisances, but they're often the best instructors on the leadership journey. If we're observant, the lessons learned during hard times can be mined at a later date for our advantage. Just about every successful entrepreneur I've met has numerous stories of setbacks that opened the door to greater opportunities. Consider these not-so-flattering moments from the lives of famous Americans. --Early in his career, Walt Disney's Laugh-O-Gram studio went broke, leaving the talented man out of work. --Abraham Lincoln plummeted into financial ruin as a young shopkeeper. --Milton Hershey failed dismally in his initial attempts to open a candy store. --Henry Ford's Detroit Automobile Company went bankrupt before reorganizing as Ford Motor Company. --H.J. Heinz's venture to sell horseradish flopped before his recipe for ketchup met with commercial success. In the middle of adversity, it can be difficult to stave off feelings of hopelessness, but oftentimes a bright future waits on the other side of hardship. The mental strength acquired in dealing with misfortune can be an invaluable asset in pushing forward into new ventures. Respect almost always is gained on difficult ground. In the words of Plutarch, "The measure of a man is the way he bears up under misfortune." No one sees your courage in the sunshine. It takes difficulty and darkness to prove bravery. When others see your character and persistence during the rough stretches in leadership, they walk away with an enhanced opinion of you. No athlete or coach likes to lose. So what do you do for a competition? You prepare yourself to win. The same goes for media interviews. The best interviewees create win-win situations. You can communicate your agenda by issuing a clear, specific message. On the other side, having their byline with a top story satisfies the media's need to win. Preparing yourself to win in an interview is critical. It’s a waste to simply show up and answer the reporter’s questions. By doing that, you hand over the power. When bad publicity spreads in nanoseconds, there’s a lot at stake! Protect yourself with an IRA. No, this didn’t just become a financial planning seminar. This IRA is a tool for reputation management. Exert influence over the direction and tone of the interview and the ultimate story. Do this by entering with a sharply focused agenda. Ask yourself what one thing you want the audience to remember most. Practice saying aloud in a concise sentence. In the interview, look for ways to incorporate it often enough so that it resonates. Make yourself responsible for the accurate picture the story paints. No one else will do this for you. It’s your reputation at stake, so make it your responsibility to get your facts right, be clear and memorable. What do you want to achieve with this interview? What tone do you want to create? Who else will be interviewed? Anticipate tough and predictable questions. Plan answers to them. What stories, examples, analogies can you use to make you and your message more interesting, relevant and memorable? Obviously, you may not need to go to great lengths to prepare for every interview. But if you want to create that win-win situation with the media, make the most of an interview by knowing your agenda and finding ways to communicate it. A coach must be a philosopher to some extend since he must have a philosophy of his own if he is to do well in his coaching profession. Two possible symptoms of insanity, according to psychiatrist, are grandeur and delusions of persecution. Since all coaches are subject to delusions or persecution when every close call and every break seems to go against them, the must philosophically inclined to accept such events with calmness and composure and continue to make decisions in the clear light of common sense. Coaches must be able to react in a philosophical manner to the unpredictable emotional reactions of players, fans, opponents and all others who have, or think they have, a very personal interest in the participants, the playing and scores of the game. The coach must recognize that his profession places him in the public eye and he will, t times, receive both unjustifiable criticism and undeserved praise, and also realize that much of his work is being done under circumstances that are likely to be an emotional and excitable nature involving many immature individuals. "You can leave a lasting legacy only if you can imagine a brighter future, and the capacity to imagine exciting future possibilities is the defining competence of leaders. Today's leaders have to be concerned about tomorrow's world and those who will inherit it. They are the custodians of the future, and it's their job to make sure that they leave their organizations in better shape than they found them."